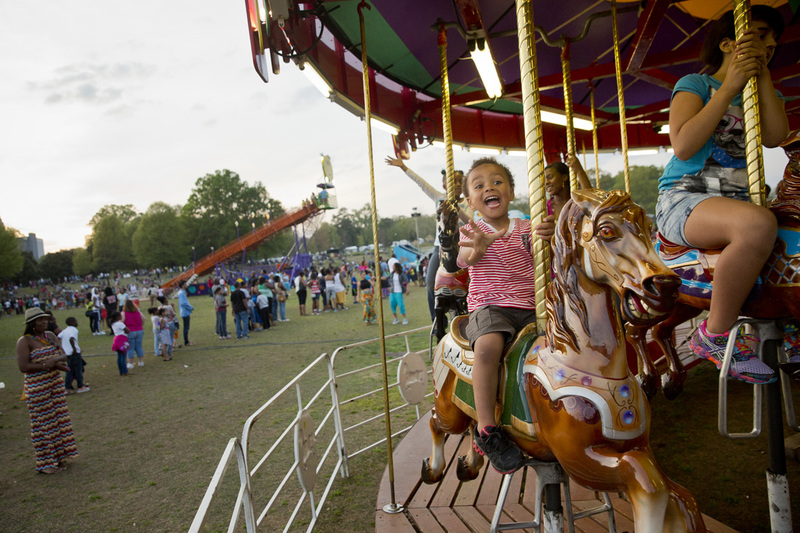 As the longest-running festival in Atlanta, the annual Atlanta Dogwood Festival returns to Piedmont Park this year April 7-9 for its 81st installment, officially welcoming spring to the Southeast. As has been the case in years past, more than 200,000 attendees are slated to gather in the idyllic Midtown greenspace to take in the live music, gourmet eats, rides and games, eco-friendly vendors, a fine-artist market, the famed disc dog competition and plenty more. The Mimosa 5K will kick off the festival with a scenic course that winds through Midtown and ends with a Champagne-and-OJ cocktail celebration. The market will feature a juried selection of wares such as jewelry, paintings, sculptures, metalworks and photography from more than 250 artists. Foodies have the option to snag a VIP ticket to the tented food and drink event on Saturday afternoon with local chefs, restaurants and breweries. (It always sells out, so don’t delay.) As a new addition this year, the festival also offers a Sunday brunch with live jazz in its VIP tent. Each year, this event seems to get better and better, which mean this year’s festival will surely be one for the books.